Solid Copper embossed O-ring gasket design increases sealing pressure around exhaust ports to create a tight, leakproof seal, even on irregular surfaces. Made from long lasting .043? 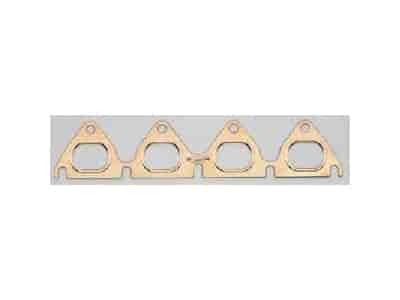 solid copper, these gaskets will not shrink, deteriorate or blowout, so gasket leaks are eliminated! Does Mr Gasket 7225 fit your vehicle?